CLOSEOUTS. 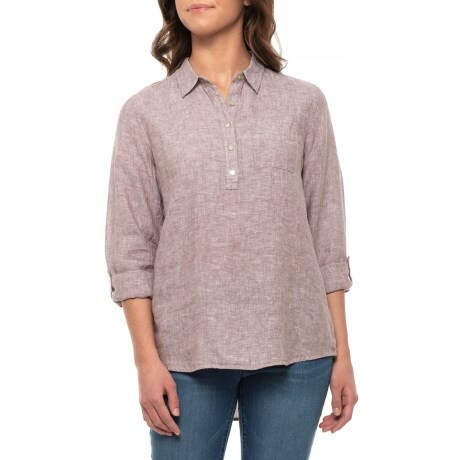 Pair this JNY linen popover shirt with white capris for a warm-weather look thatand#39;s cool, classic and comfortable. Available Colors: CAFFEINE. Sizes: S, M, L, XL.